off-festival-vienna - finally in Vienna! The PhotoQuarter, housed in the former Schlössl cinema, is a photography gallery in Vienna, and presents in its exhibition space both Austrian and renowned international photographers. 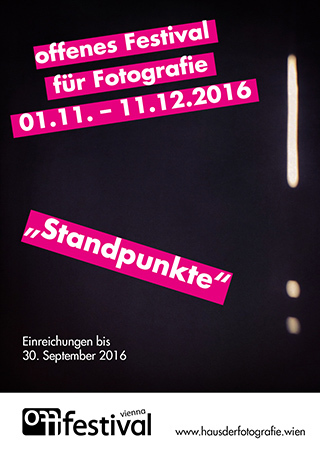 With its regular photographic exhibitions the PhotoQuarter Vienna gives established photographers as well as up and coming new photographic talent the opportunity to present their photographic work to a wide audience. 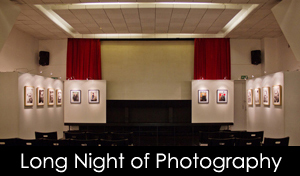 In the coming Month of Photography November 2014 there will be an open "off" photography festival taking place for the first time. The off festival vienna stands for an open discourse and public discussion on diverse aspects and forms of photography at the present time. The off festival doesn’t build an artificial distinction between art and commerce, nor does it limit itself to any particular category of artistic photography. The forthcoming off festival vienna is dedicated to the theme "(No) art!". The House of Photography will award a EUR 1.000, - prize to the best photo project shown as part of the off festival vienna and is looking forward to all submissions. Anyone interested can submit an application for the off-festival Vienna until Thursday, 11.09.2014. 175 YEARS OF PHOTOGRAPHY! LET'S CELEBRATE TOGETHER ON 19th AUGUST 2014! 3.86 kilometres swimming, 180.2 kilometres on a bike and a marathon to run. No more and no less are the demands for the participants of the Ironman. These almost inhuman distances attract spectators. They want to see the oppressed. Their strength, their will and their relief when they pass this challenge. The winner's photos go around the world. 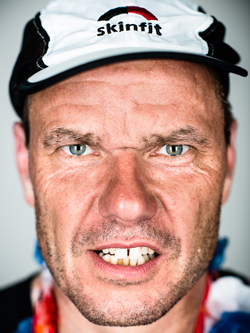 But what do the faces of the sportsmen look like after a completed Ironman? With Ironfaces Gerald Henzinger shows portraits of Ironman finishers from the Ironman 2012 in Klagenfurt. The people are marked, releaved, disappointment or satisfied by their effort. The pictures show the faces in large format. Every detail is visible, nothing will escape the camera. 220 athletes are photographed in this photography series. Immediately after crossing the finish line. The feeling of having accomplished something remarkable is still fresh. Some hobble in, are wiped out and happy at the same time. Others cannot be photographed any more. They are taken from the finish line directly to the military hospital next door. Gerald Henzinger, born 1976 in Oberösterreich, studied Informatics at the Technical University of Vienna and graduated from the Photoschool Vienna. In 2004 he lived for a year in Bolivia and from 2008 until 2011 in Mosambik. Gerald started 2004 with photograpy and continued developing his own style whilst in those countries. He published in different media like GEO, DATUM, FotoObjektiv, AARGH.at, ProfiFoto and WOMAN. Gerald himself has also participated in extreme sport events like the cycle race Trondheim-Oslo, with its 550 kilometers. Because of this he can put himself a litte bit into the situation of the athletes. On display in FotoQuartier during February will be a selection of photographs from the series ‘Elegies of Manumission’ by the Spanish photographer Max de Esteban. The exhibition combines the outcome of three projects which through portraiture deal with social and political issues. In ‘Elegies of Manumission’ Max de Esteban questions the legitimacy of portraiture in the advent of modernity. With these controversies in mind de Esteban better defines his work as “anti-portraiture” as he represents not an individuality but an embodiment of ideas. The three projects that form Elegies are: 'Vertige', 'Private Utopias' and 'On the Uncertainty of Being'. “These images depart from the expressionless, flat-lighting portraiture that still dominates today’s fine-art production and that, to my belief, is thoroughly exhausted” states the phographer. 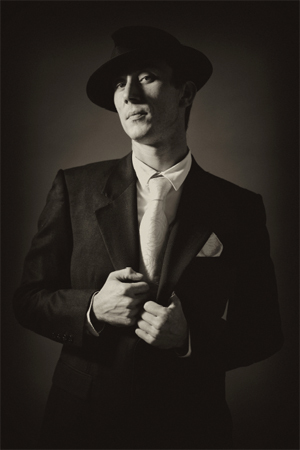 Instead de Esteban’s photography references early Baroque portraiture painting and the work of artists such as Caravaggio (1571-1610), in which realistic observation of the human state, both physical and emotional, is combined with dramatic use of lighting and contrast between light and dark. In the photography of Max de Esteban many challenging topics are explored. From a contemporary look at the construction of identity and gender in youth, to private desires, imaginary identities and the exposure of our dreams and fantasies, questioning what radical new vehicles our society has developed to avoid reality. He also examines the role artists play in todays difficult world where most artists are struggle to become commercially successful. Since the beginning of photography, portraits have played an important role. They fulfil the desire people have to be able to hold images of famous people, their loved ones, and above all of themselves close, for personal use as well as for the purpose of posterity. In contrast to the first portrait photography of the 19th Century where photographers had to battle with technical difficulties, long exposure times and high production costs, nowadays digital photography enables a fast and affordable way to produce portrait photography. Social networks provide space for the endless possibilities of self-presentation, often finding expression through the medium of photography. Thereby portrait photography has become ubiquitous. This development leads to a sheer flood of portrait photos, which tire the eye of the beholder quickly through stereotypical representations. In contrast, portrait photographers use artistic focus to load their work with meaning. These portrait photographs oppose the mass produced comodity portrait, and are based on artistic concept and related craftsmanship. They are therefore in line with a photographic tradition which has existed for over a hundred and fifty years. It was in this way that the French photographer Nadar (otherwise know as Gaspard-Félix Tournachon) captivated audiences, particularly through his portrait pictures which he was creating as early as around 1860, of his friends and icons of the time, such as Charles Baudelaire, Sarah Bernardt or Claude Monet. 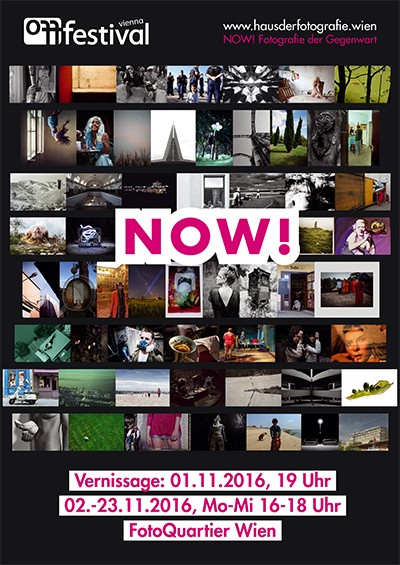 The photography exhibition “FACE OF THE PRESENT- Portrait photography from Austria” is dedicated to documentary portrait photography. The German photographer August Sander, an important precursor for portrait photography, published in 1929 his first book publication under the title “Face of Our Time”, in which sixty portrait photographs from different walks of life are portrayed. In these portraits he wanted to create a mirror of contemporary society. He created categories for his portraits by means of capturing certain professions and social groups. The photographs did not originate in the studio but instead in the direct living surroundings of the depicted people. The photographs should not only represent the individual but also integrate the environment so that each separate photograph represents a “type of person”. 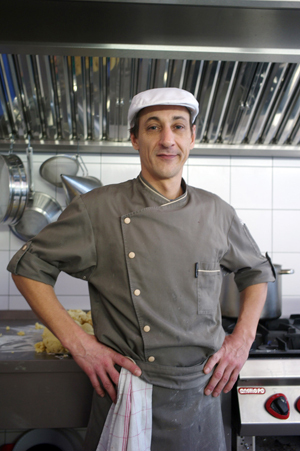 For example, “The Baker” by August Sander was captured at the exact point of kneading the dough. In this sense the photographers in the exhibition “FACE OF THE PRESENT” are inspired by August Sander. They have also portrayed people in their current living environments. However the exhibiting photographers are no longer required to portray a “type of person” within their photos, but rather they are able to focus a lot more on the uniqueness’ of the people who are to be seen in their photographs. They concern themselves with people who live in Austria, Kosovo as well as Tanzania. Although the exhibited photographs vary greatly in approach and environment there is one element that unites all the pictures in the exhibition. Within their images all of the photographers use the existing surrounding light of there location, no matter whether the people portrayed were captured at their homes, workplaces or undergoing various recreational activities.In addition, as part of the photography exhibition, a portrait marathon will take place. On the weekend of the 10th-11th November interested people may come by, with registration in advance, and have their portraits taken, thus becoming part of the exhibition. The resulting portraits will be on display until the end of the photographic exhibition "FACE OF THE PRESENT – Portrait photography from Austria". POSITIONS is an exhibition highlighting the culmination of work by the students of the Photography School Vienna. While it takes a good amount of time, skill and effort to compose the perfect photograph, it takes an enormous amount of creativity to come up with an original series or sequences. 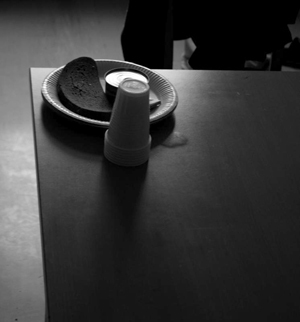 However that is exactly what the 4th semester students were given the task to do; to undertake an independent photography project, resulting in a series of four images. An exercise that begins with the selection of a theme and continues with the development of photographic images dedicated to portraying an entity. The beauty of a series is that each photograph can be enjoyed separately, however take them as a whole and you’ll experience them in a more unified and meaningful way. Each series is thematically grouped both by the ideas that are consistent throughout the photographs, as well as through the visual style and techniques implemented whilst capturing the final pictures. Each project is unique and personal to the photographer.Sequences within photography are a well-established approach used by many artists, as a compiled collection of images around a central theme has the power to draw and focus attention, as well as highlight key aspects of curiosity and interest. The most famous and influential example of artists who uses this technique are the artists Bernd and Hilla Becher, who since 1959 have extensively been photographing industrial structures that exemplify modernist engineering; such as water towers and oil refineries. Their photographs are exhibited and published in series, groups similar in design or subject. Their series which are made up of multiple images have the power to make these everyday buildings seem strangely imposing and alien. The Becher’s also taught photography at the Kunstakademie Düsseldorf, where they influenced many future generations of photographers, amongst which Andreas Gursky and Thomas Struth. They have had a considerable impact on minimalism, conceptual art and modern photography since the 1970’s. The series of photographs, resulting from the finished projects on display in the exhibition POSITIONS tell a story; they take the viewer on a visual journey. The themes covered by the photographers vary greatly, allowing for a diverse and exciting exhibition: from portrayals of Vienna’s modern city life, architecture, portraiture, investigations into colour and light, explorations of nature and pattern, motherhood and the circle of life, to the everyday observations of culture and society. Each photographer is portraying his or her own individual narrative through images. The works on display in the photography exhibition À LA MODE – Fashion and Photography from Vienna originate from a collaboration between the Photography School Vienna and the Fashion School Herbststraße. The students from the 4th semester along with staff from the Photography School Vienna have photographically accompanied the 2012 graduates of the Fashion School throughout the development process of their fashion collections. When the two art forms fashion and photography come together they pose, through interaction and cooperation, great creative potential. Through working and interacting with the human body and diverse forms of its concealment a huge range of motifs are provided, and numerous possibilities for staging are opened up to both the fashion designers and photographers. Jointly everyone benefits from this creative collaboration. 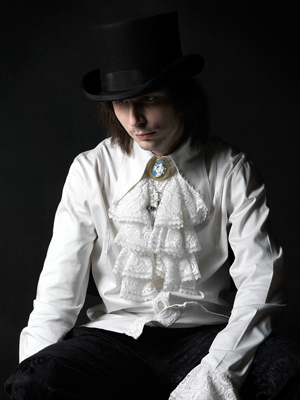 The photographers can add to their portfolio interesting and unusual fashion photographs. The fashion designers are able to use the photographs to showcase their designs in the media and thereby promote their collections. In the interplay between fashion and photography sometimes it is the fashion itself in the foreground and sometimes the photography. The exhibited photographs illustrate in different ways the process of development, which the collections of the Fashion School Herbststraße undergo. They show the designers at work, the finished garments in the artist’s studio, as well as in the photography studio or during their presentation on the catwalk. Last but not least the photographers supply through their images a glimpse into the behind the scenes world of a big fashion show, which took place at the end of March 2012 in the Vienna Museum of Ethnology. Some of the exhibited works suggest as role models famous photographers like Richard Avedon and Irving Penn, or move in the footsteps of William Klein, a photographer who also uses his work to look behind the scenes of the fashion world. Since the early 20th Century fashion photography has existed as it’s own genre of photography. In the context of illustrated magazines, such as Harpeer’s Bazaar and Vogue, it was possible for an ever more sophisticated visual language to develop. It was at the latest during the 1950’s in which fashion photography was recognised as it’s own art form and it was able to increasingly establish itself. In the past few decades fashion photography has also arrived in museums and galleries, which reinforces the on-going discourse around this form of art work. light and are seen from unusual views. The photography exhibition “PINHOLE – Pictures through a hole” displays works from students, graduates and faculty of the Photography School Vienna and addresses the portrayal of pinhole photography as an artistic form of expression. Inspired by the origins of image reproduction, the participating photographers focused on this centuries-old technique and photographed selected subjects from around Vienna. In doing so, the photographers took advantage of the unique qualities of the pinhole camera: through the evenly dispersed image focus, or rather lack of focus, combined with the resulting graphically 2-dimesional effect, the spatial perception of the photographed subject fades into the background. In this way many pinhole photographs function as drawings, which in turn returns photography to its original definition: “photo graphein”, which is ancient Greek for “drawing with light”. As early as the 17th Century the ‘camera obscura’ was used as a drawing aid by artists. Nowadays this technique, in the form of a ‘pinhole camera’, experiences a revival and is used by many photographers as a means of artistic expression. A small hole, the size of a pin, is sufficient to produce a visual image. The simplest form of a pinhole camera, a shoebox with a hole, is often used in drawing classes as an introduction into the world of photography. However, it has only been insiders who have known that it is also possible to create wonderful pinhole photographs with a digital SLR camera. Thus the photographic exhibition “Pinhole – Pictures through a hole” is dedicated to the world of digital pinhole photography. The Photography School Vienna and the Lebenshilfe Vienna invite you to the exhibition 'IMAGE OF MAN' in the PhotoQuarter Vienna, housed in the Schlössl-Kino. The works captured by the students from the Photography School along with those produced in the 1960’s by the Austrian photographer Harry Weber at Steinhof, document how the world’s perception of people with learning difficulties has changed over the last half a century. Mag. Markus Hippmann, Head of the Photography School Vienna, summarizes the motivation behind the photography exhibition 'IMAGE OF MAN', “We are showing the artistic outcome of our collaboration with the clients from the ‘Lebenshilfe Vienna’, in doing so we are opening up space for the topic ‘disability’, and there by raising awareness of the needs of people with disabilities.”At the centre of the project are people with special needs. The general perception of people with disabilities has changed considerably within the past 50 years. Persecuted and hidden away in psychiatric institutions during the times of National Socialism, nowadays people with disabilities stand and participate as independent members of society. 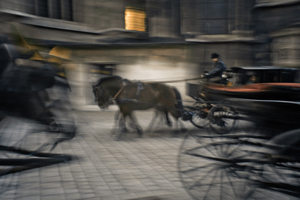 In April 2011 the Photography School Vienna started working together with Lebenshilfe Vienna. The students of the Photography School Vienna photographed people with learning difficulties within their current everyday environments, in the workshops and theresidential homes of the Lebenshilfe Vienna. The resulting empathetic photographs illustrate how people with disabilities nowadays can go through life with self-assurance. In contrast, the photographs from the famous Austrian photographer Harry Weber, who in the 1960’s photographed patients of the psychiatric clinic at Steinhof, show the different standards of living people with mental disabilities experienced 50 years ago. The photographs from Harry Weber have been made available to view by the image archive of the Austrian National Library. 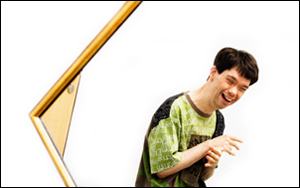 PhotoQuarter Vienna presents 'SELF-ESTEEM'– photographs of people with special needs. The 5th district of Vienna is one exhibition space richer: The PhotoQuarter, housed in the former Schlössl Cinema, Margaretenstraße 127, presents works from Austria’s up and coming photographers as well as well-known international artists. And kicking it all off will be the opening of our exhibition, 'SELF-ESTEEM' photographs of people with special needs, on Friday 27th May 2011 from 8pm. Exhibited will be photographs which were taken in the workshops of the Bandgesellschaft, a care facility for disabled people. Paola Zofrea Battipede, Pepa Georgieva, Markus Hippmann, Doris Lieba-Samal and Bärbel Tomasi (all from the Photography School Vienna) have created portraits of people with learning difficulties showing them in their work and living environments. 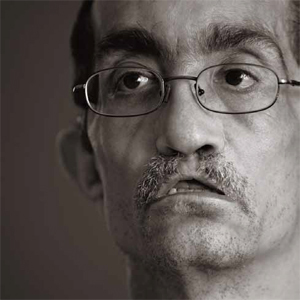 Through which insightful pictures emerged, depicting the self-esteem with which these disabled people go through life. Since the basic needs such as food, sleep as well as work are often more important in the care of the disabled, these feelings are sometimes little in evidence. However this is not the case with the collaborative photography project between the Photography School Vienna and the Bandgesellschaft. Here above all else, the people themselves and their emotions stand at the centre of attention. This is also depicted by the artists in the exhibited portrait photographs. We see what we believe, and we believe what we see. Our thinking influences our way of seeing and vice versa. Much in life is a matter of opinion and depends on the perspective of the viewer. Every photographer strives and desires to see the world anew in order to attain insight and therewith produce new photographic outlooks. An unusual perspective of things is always sought after, and this in turn depends crucially on the position of the photographer. Photographs from the students, graduates and staff, of the Photography School Vienna are on show in the exhibition ‘POINT OF PERSPECTIVE’. All the photographers have dealt intensely with the theme of perception and dependent on their outlook this has led to many varied and extraordinary images. The method of approach determines the perspective. The work of photographer Markus Hippmann moves within the photographic realm of simple, often everyday motives. He photographs the themes of the forest, water and snow, and within which he concentrates on the perception of light, colour and form. Within his portrait photography Markus Hippmann attempts to capture the essence of the photographed person. Among his other photographs, he portrays the charm of his subjects through different lighting conditions and colour moods, whereby the actual subject of the image recedes into the background. In this way, within the exhibition trusted things appear in a new light and are seen from unusual views. Austria is considered affluent. However even in Austria there are still more and more people living below the poverty level, who become the victims of social exclusion. Many nolonger know how to afford the basic costs of living and therefore become welfare recipients, end up in shelters, or even on the streets. This is reason enough to devote a photography exhibition to this topic in the ‘Year of Poverty’, a chance to look closer instead of always looking away and for 'POVSTRIA' to show the poor Austria. For this occasion the Photography School Vienna is organising an exhibition of photographs from students and graduates, which can be seen in line with of the final conference hosted by the Austrian ‘Federal Ministry for Labour, Social Affairs and Consumer Protection’ for the ‘European Year of Poverty’.